These are basically dressed in commercial items, with my own custom bits added. With a bit of ingenuity it's possible to create an accurate and satisfactory figure. These are what I've done so far. 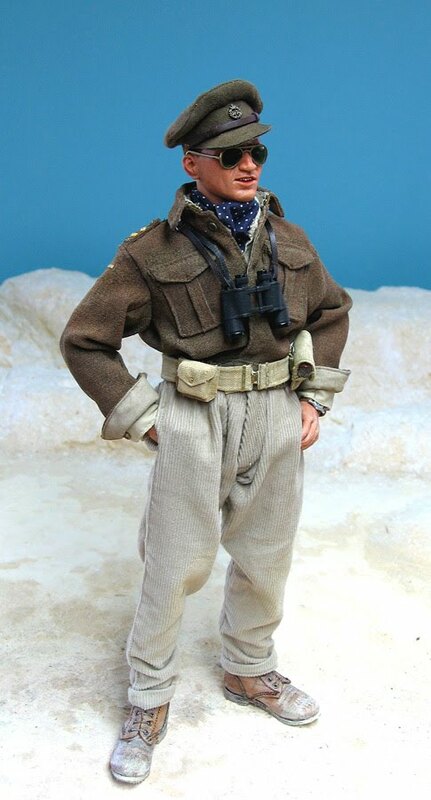 First, a Lieutenant from the Queen's Bays in Libya in 1941. An old school Cavalry type , wearing what he fancied in the insouciant manner affected by many such officers... these cavalry Regiments still tried not to take war too seriously . 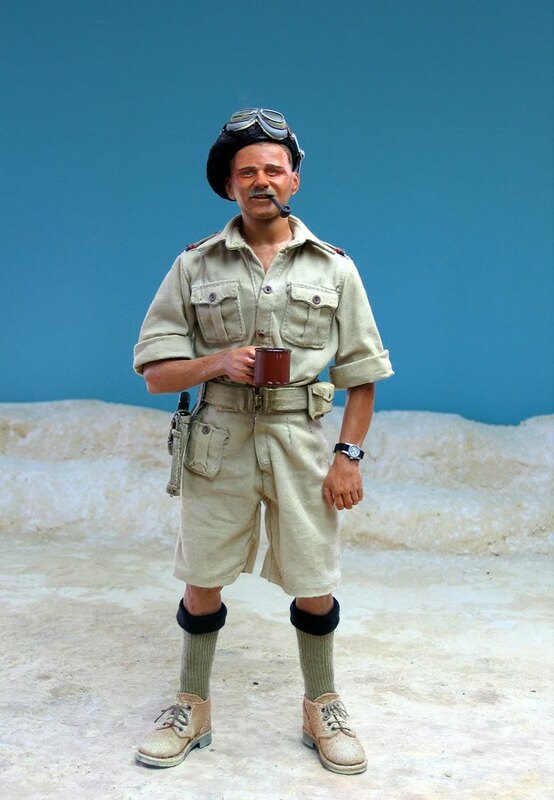 Hot weather clothing : the temperature at mid-afternoon in a tank in the desert must have been unbearable. 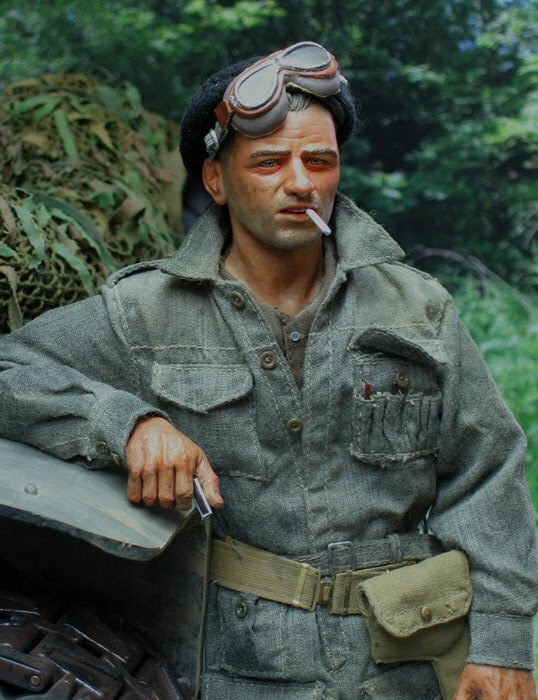 Most crews in Normandy after D-Day wore Battledress , or shirtsleeve order . When it was really hot they preferred the Denim tanksuit , a one piece item made with plenty of pockets , often worn just over shirt and underpants. Not made as such in 1/6th yet , I created this by dyeing a sand coloured version that DML made a few years back. 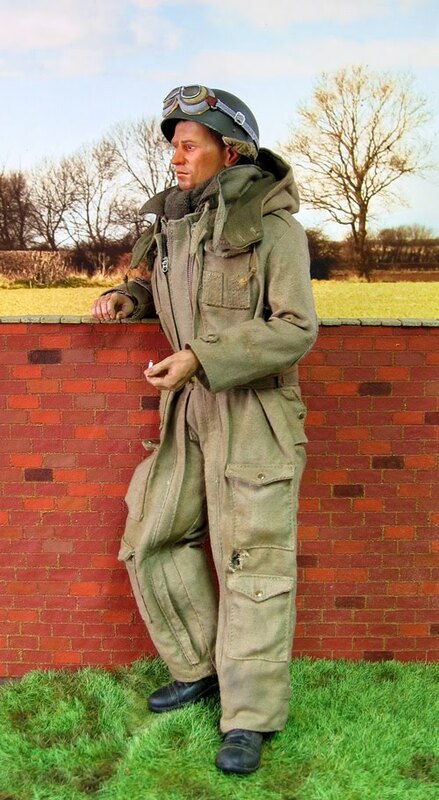 When the autumn set in , leading to one of the coldest winters on record, crews were issued with the famous " Pixie suit " , made from heavy drill and lined with blanket fabric . This proved very popular , and was worn throughout the winter by all RAC personnel who could obtain one.